Legumes rock my world, but have they have always rocked my world? Um, no, I’m from Indiana. The only “bean” I knew about was the “baked bean” and the green bean. One of which is NOT a bean. So, this love of legumes is rather new. And it started in college. Yes, the good old days when you didn’t have any money and you ate food out of a can. And that’s how it began – with a can. Now that I’m older and therefore, much wiser, I’ve come to appreciate beans on a whole new level. Yes, they are indeed still inexpensive and yes, very nutritious, but they also make a magnificent base to so many flavorful dishes. You can use them in any cuisine and if flavored and given the proper love, they will make you never wonder, “where’s the meat?” Isn’t that pretty great? I think so too! Speaking of flavorful dishes, I’ve got one here just for you! A super easy dish loaded with spices that warms your belly and satisfies. It’s called dal – an Indian dish made with lentils or split chickpeas. It’s basically a big, stew-y bowl of goodness and you’re going to love it! What’s Your Bean of Choice? So, now you know my love of legumes. Tell me, what’s your favorite bean? I’d love to hear from you, so drop your answer in the comments below! And if you need more beans (I know, I read your mind, right? ), I’ve got some more yummy bean dishes just for you! Try my Chipotle Pumpkin Black Bean Burgers, Chickpea Salad with Tahini Dressing, or my Black Bean and Mushroom Tacos! Looking for a super delicious, vegetarian dish that satisfies? 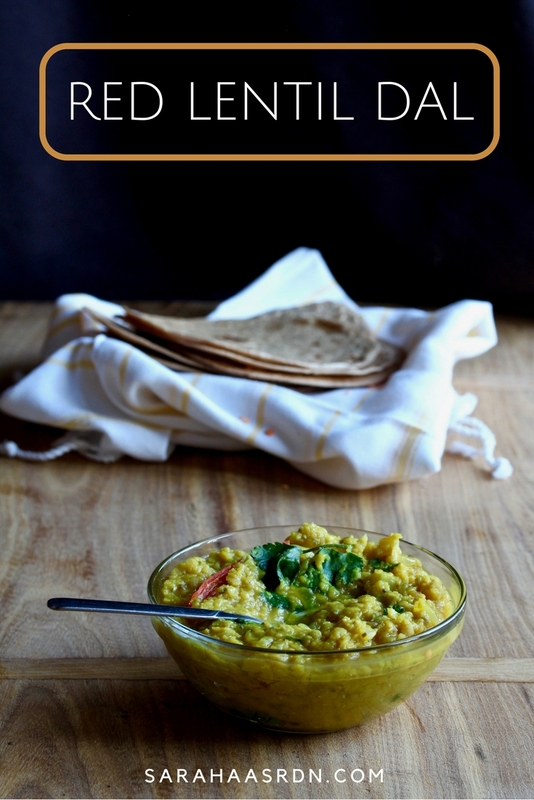 Look no further than this Red Lentil Dal! Place the lentils and water in a pot and bring to a boil. Reduce heat to a simmer, cover and cook until very soft, about 20 to 25 minutes. Heat the oil in a large non-stick skillet over medium heat. Add the onion and peppers and cook, stirring often, until softened and translucent, about 5 minutes. Stir in the garlic, ginger and cumin seed and cook until fragrant, about 30 seconds. Add the coriander and turmeric and cook 1 more minute. Whisk lentils then add the onion and spice mixture. Stir to combine. Add lemon juice then season to taste with salt. Garnish with cilantro. 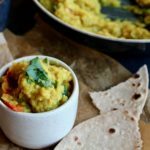 I love love red lentils but for some reason only make them once in a while – need to pick up a few bags and make this! Red lentils are the best! 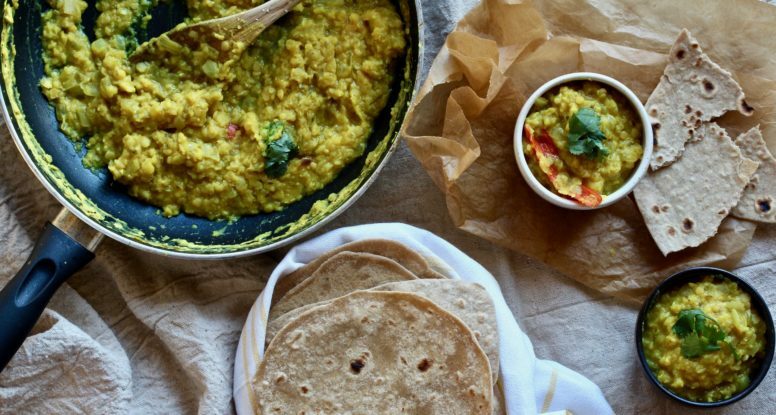 They cook so quickly and are perfect for dal! 🙂 Happy to inspire you to get some! This looks so perfect for the extreme cold weather happening lately! What a protein-packed, satisfying meal! You nailed it! Perfect for a cold day and totally satisfying! Me too Tara! And I hope you like this one.